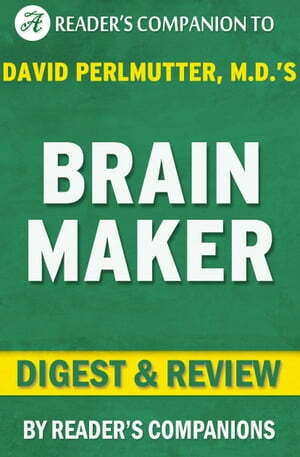 Collins Booksellers - Brain Maker : By David Perlmutter | Digest & Review by Reader Companions, 1230001227697. Buy this book online. On Sale Now: $3.99 • Original Price $5:99 • Free Book Bonus Included! "Very concise and helpful for our Book Club." "It is full of story information, interesting facts about the novel and the author as well." "You can read it before you read the novel or after you read it as a supplement to the actual book." "This overview gave me an idea of what the book covers. From it, I have been able to decide whether or not to purchase the book." "The Digest helped clarify the historical background. Beautifully written and deeply moving." Buy your copy on sale today.